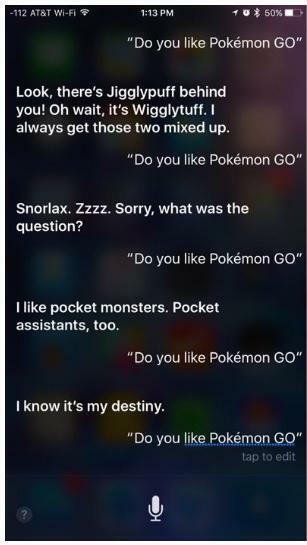 It turns out even Siri is playing Pokémon GO. Apple recently updated its AI assistant with a handful of funny responses when you ask about the popular augmented reality game. Look, there’s a Jigglypuff behind you! Of wait, it’s a Wigglytuff. I always get those two mixed up. Snorlax. Zzzz. Sorry what was the question? I like pocket monsters. Pocket assistant, too. That yellow species with an electrostatic tail of variable angles. Oh, that one right there! Touching his egg! Did you see it. 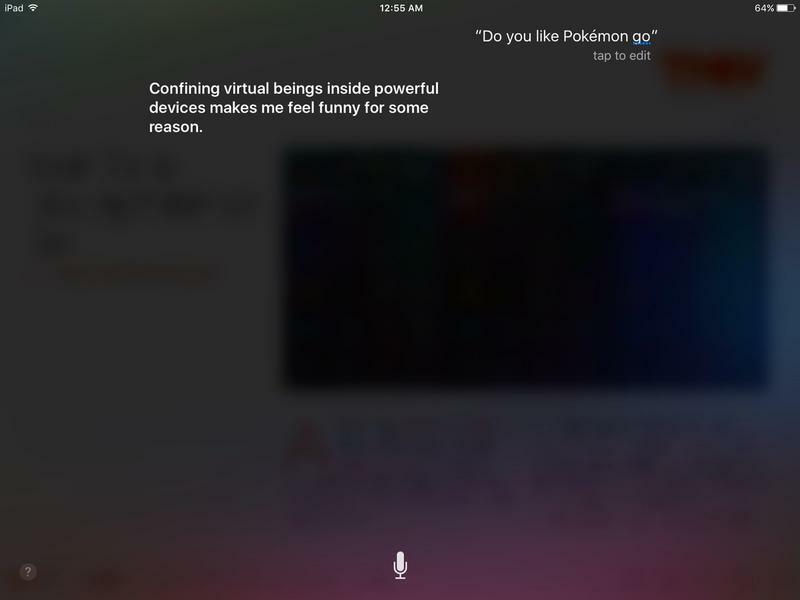 Siri also appears to have even more non-specific jokes ready to go if you ask any sort of Pokémon GO-related question, so ask away and you may hear something new. If it doesn’t work the first time don’t worry, The Next Web notes that roughly half the time Siri will simply open the app instead. 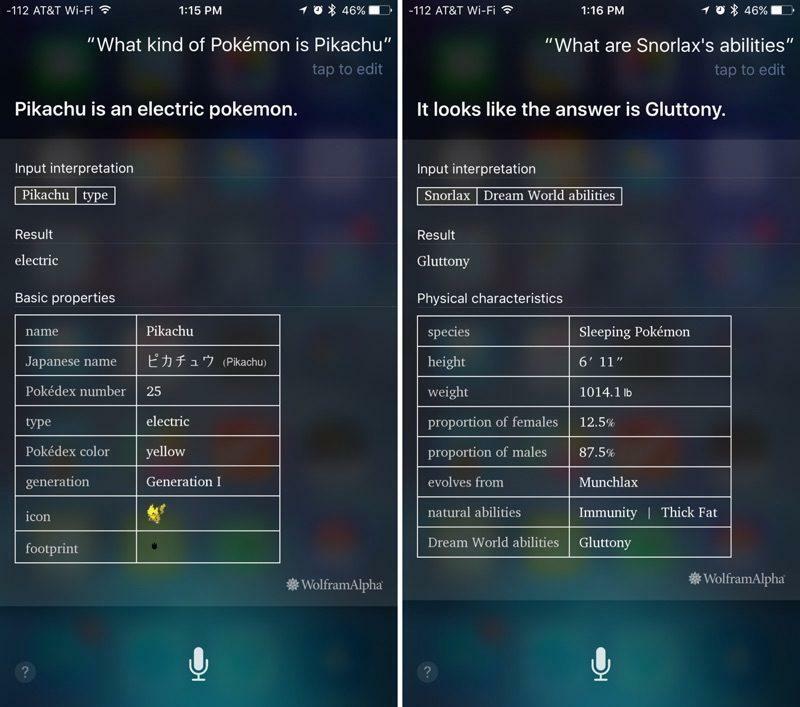 If you’re looking for more specific information Siri can also provide stats on specific Pokémon. 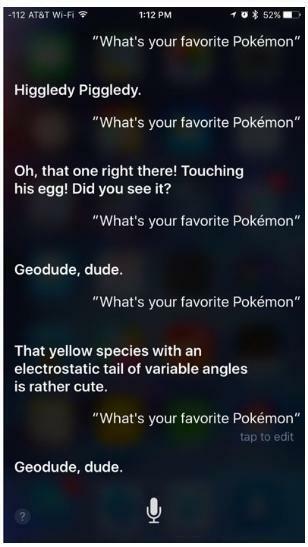 Just ask a question like “What kind of Pokémon is Pikachu?” or “What are Snorlax’s abilities?” and Apple’s AI assistant will serve up an answer.